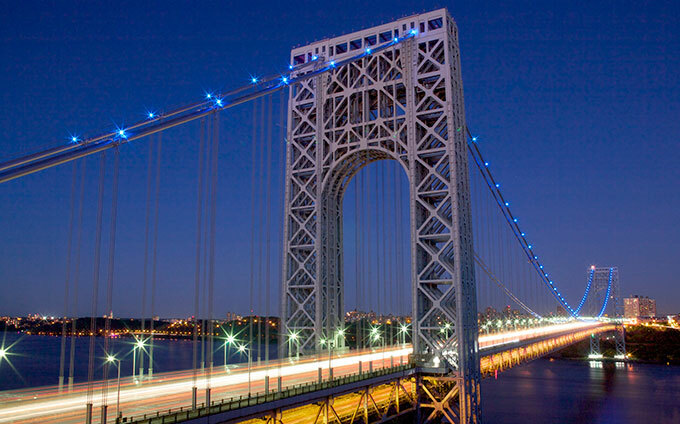 The George Washington Bridge’s 156 LED necklace lights will shine with blue light for the month of September to commemorate National Prostate Health Month. As a 501(c)(3) charity, Fans for the Cure is committed to preserving the quality of men’s lives by promoting the importance of identifying prostate cancer in its earliest stages. The charity both encourages regular doctor checkups and, in association with our healthcare partners and professionals, provides baseline PSA testing and consultation. We also offer educational and support seminars, printed and online reference materials, and referrals to physicians and cutting-edge research – all in the service of achieving best practices in the diagnosis and treatment of prostate cancer. We invite you to make a donation to support our work or get in touch to learn more about our organization.